Southern railway is planning to provide the much needed relief to suburban train passengers from overcrowded trains during peak hours in Chennai. As they plan to revise the suburban train timetable, about 30 special suburban services are likely to get regularised. These special services were first operated during the state-wide bus strike in January. The new timetable is expected to be released by the end of October or first week of November. The special trains catered to about 1.2-1.5 lakh passengers every day during the strike. 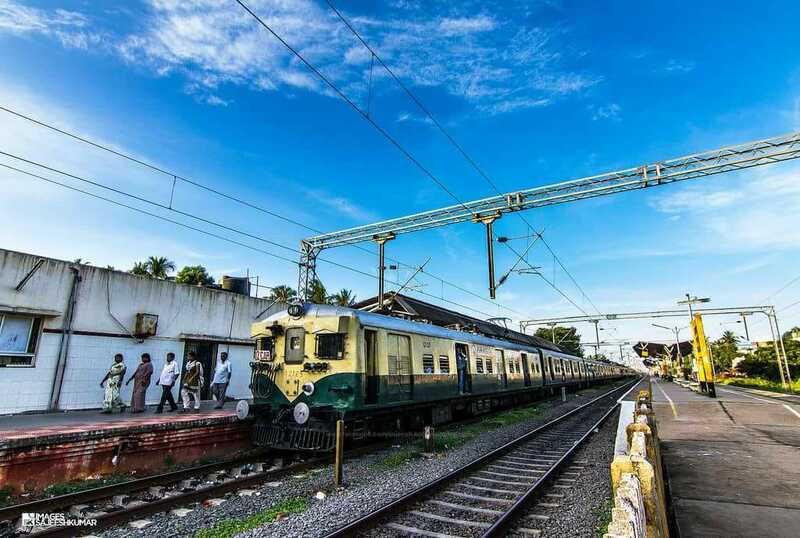 “Around nine special services that were operated in Beach-Tambaram-Chengalpattu section between 9.15 am and 10.45 pm are likely to be made permanent trains. Similarly, nine specials that ran in Chennai MMC-Gummidipundi and Chennai MMC-Arakkonam routes will also be included as regular services in the revised timetable,” The New Indian Express quoted a senior railway official as saying. Eight services operated in Beach-Velachery MRTS section and four services in Beach-Avadi-Arakkonam are also being considered for regularisation. A few services from Chennai which run up to Avadi, Tiruvallur and Kadambattur may also be extended up to Arakkonam as part of the revised timetable.